The members of the Stained Glass Association of America are proud to present and be represented in this latest edition of Sourcebook. 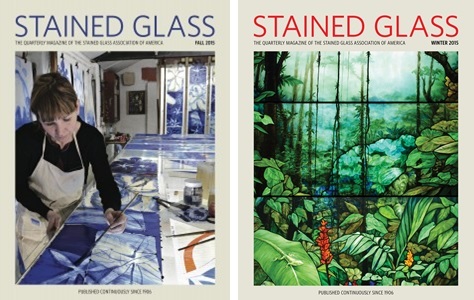 This publication represents an adventure in stained glass, outlining the basic concepts and reasons for the use of stained glass. It offers a suggested plan for specifying and presents a wonderful, impressive portfolio of installations expressing the capabilities of our members.